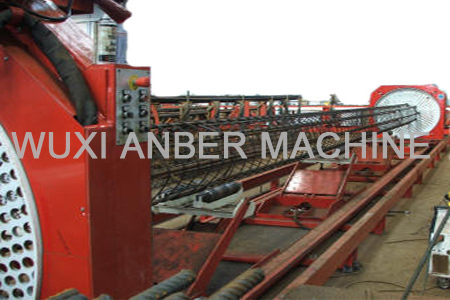 According to the construction requirements, longitudinal bar is feed through the hole on the fixed rotating disk by human and get fixed, weld one head of the stirrups to the longitudinal bar, and the rotating disk will wind and move back for fixed distance to weld to spiral bar to the longitudinal bar, this is how the pile cage (also named welded cage, reinforcement cage) to be formed. 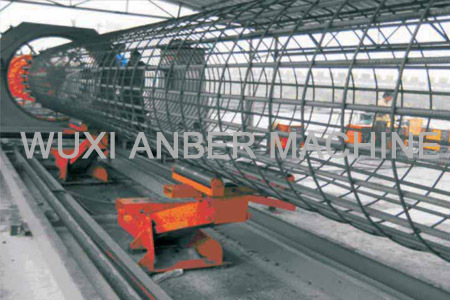 Precision of the welded cage: The reinforcement cage needs high precision of the spacing of the stirrups. This pilemaster (cage welding machine) sets stirrups spacing through PLC, so can promise high precision. Actually the stirrups distance is influenced by the rotating speed and moving speed, so in the control of PLC, there will be no need to worry about. 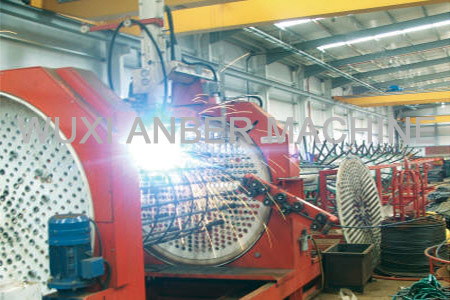 Normally it requires 10 worker, devided into two work shifts, to assist in feeding, welding and inner rings installation. 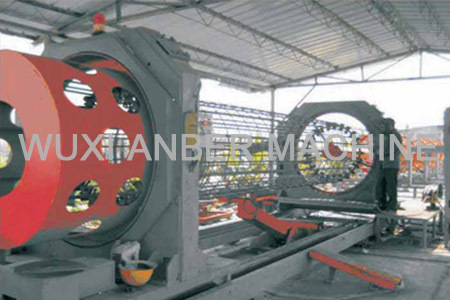 With the help of these 10 worker, this machine can produce at least 20 finished cages one day. 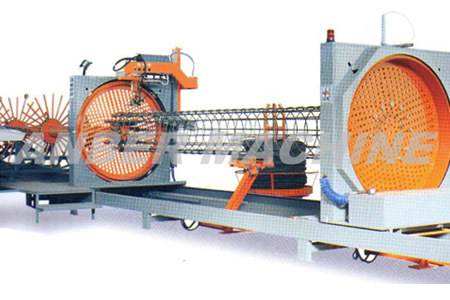 Compared with manual cage making, mechanization production can reach to better cage quality with regular spiral pitch, thus the finished cages share the same diameter and shape. Their quality completely accords with expected standards. With the help of template, longitudinal bars are evenly placed on the circumference. So that it is easy to lap joint two cages and can save hoisting time.